Model search i.e. "360" or just "FLOORTEC". 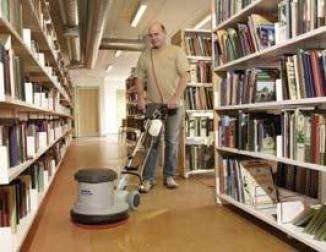 COMPRESSED AIR VACUUM: whenever electricity is unavailable or forbidden. 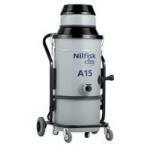 The A15 is the smallest of the compressed air vacuum range. This model is equipped with Venturi system and activated by compressed air. 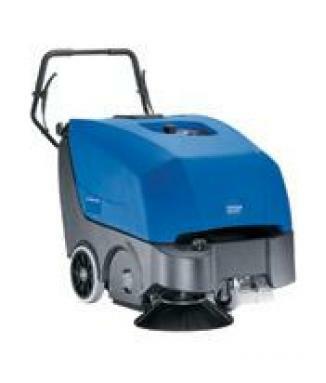 It can be used to recover solid debris and liquid spills. 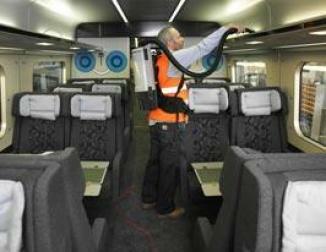 The pneumatic system is free of moving parts guaranteeing total absence of wear and minimal maintenance. With minimum footprint, elegant profile (the Venturi system is concealed under the vacuum's lid) and minimal air consumption, A15 is ideal whenever the air supply is limited and small quantities of debris need to be recovered. This unit has a 25 litre painted steel bin fitted with castors. Thanks to its innovative release system (which turns into a practical handle) the container can be quickly removed and emptied. The bin can be fitted with an inlet and paper bag, for safe recovery and quick disposal. Filtration is provided by the main bag filter fitted inside the filter chamber, with a total filtering surface of 7,000 cm². Whenever absolute filtration is required, a HEPA filter is available. The unit is also equipped with a standard manual filter shaker. 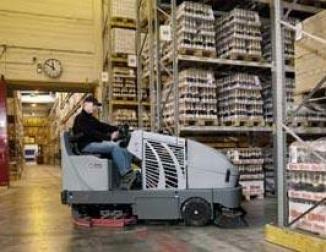 Pneumatic filter-shaker can be fitted upon request. A15 is available in painted steel, stainless steel (including the dome) and in the flameproof ATEX-compliant version (for zones Gas 1-2 and Dust 21-22). Please fill in your details below and we will contact you back to discuss this product further. TDC House, Ewloe Roundabout, Deeside, Flintshire. CH5 3AW.